VOA Learning English presents America’s Presidents. James Monroe easily won election in 1816. He had a relaxed, likeable personality and was popular with voters. In addition, many saw him as a last connection to the country’s founding generation. Monroe had fought in George Washington’s army during the Revolutionary War against British rule. He was a diplomat during Thomas Jefferson’s presidency and helped complete the Louisiana Purchase. Monroe served as James Madison’s secretary of state — and briefly as his secretary of war, as well – during the War of 1812. Voters’ positive feelings carried Monroe into office and defined his presidency. When Monroe became president, the United States had just declared victory against British forces in the War of 1812. The American economy also was doing well, at least at first. And the government was mostly united under a single party. But Monroe did have one immediate problem: He and his wife, Elizabeth, could not move into the president’s house right away. The British had burned it badly in an attack on Washington, D.C. Workers were busy making repairs. So, Monroe decided to go on a trip. He spent the first weeks of his presidency traveling. Then President Monroe turned west, toward lands that white migrants were increasingly settling. They were able to move west in part because American soldiers had defeated a powerful alliance of Native American tribes. What had been a victory for the U.S. government was a crushing loss for Native Americans. Many tribes moved farther west. Others began to lose their languages and their customs as white settlers took control. For Monroe, however, the visit west was a positive sign of the country’s expansion. By the time he returned to Washington, Monroe had met many Americans. He had learned for himself the geography of the country. And he had demonstrated that all parts of the U.S. could be connected by patriotism and a common federal government. Four years later, Monroe won a second term even more easily than his first. Yet James Monroe’s presidency had several crises. One was the country’s first economic depression in more than 30 years. Another was over slavery. The country had been divided over the issue since its founding. By the end of 1819, eleven states, all in the South, permitted slavery. Eleven states, all in the North, did not. The question became: Would the new states in the West permit it? Monroe had to face the question when settlers asked Congress permission for Missouri Territory to become a state. Many enslaved people already lived there. White settlers expected to bring more. But a member of Congress from a Northern state proposed that Missouri could become a state only if it banned slavery. That proposal started a debate that lasted more than a year. For the most part, the debate was not based on the moral problems with people owning other people. Instead, it involved economic and political concerns. Northerners argued that slave-holding states had an unfair economic advantage. In addition, if Missouri entered the Union as a slave state, its lawmakers would move the balance of power toward the South. The debate continued so long that another area asked to enter the Union. People in northern Massachusetts wanted to organize into an independent state called Maine. After some time, lawmakers offered a compromise. They said Maine could be admitted as a free state and Missouri as a slave state. But they also made a line across a map of the country. They said Congress would not admit another slave state north of that line. 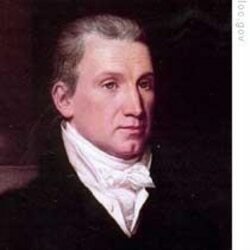 James Monroe signed into law what became known as the Missouri Compromise. It settled the issue of slavery, at least officially, in the U.S. for more than 20 years. But everyone knew that the peace between pro-slavery and anti-slavery groups was only temporary. In 1823, Monroe made one of the most important foreign policy decisions in American history. It became known as the Monroe Doctrine. 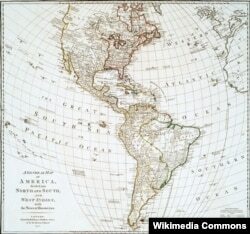 It related to Spain’s colonies in Latin America. Monroe had dealt with Spain before. In his first term, he and his secretary of state, John Quincy Adams, successfully negotiated with Spain to buy Florida for the United States. By Monroe’s second term, Spain had also lost control of some of its former colonies in Latin America. The president became concerned that Spain’s European allies would try to help the country re-gain power. He did not want European powers interfering in areas so close to U.S. territory and so important to U.S. trade. So Monroe gave a speech to Congress. He said the U.S. would stay out of Europe’s affairs. But he said Europe should also stay out of Latin America’s affairs. And, Monroe declared that European powers would not be permitted to begin colonizing any area in the Western Hemisphere. In other words, Monroe declared that the U.S. considered the entire Western Hemisphere its sphere of influence. Historians note that Monroe did not aim for the declaration to be a major statement. But it became a base of American foreign policy and supported U.S. expansion throughout the 19th century. James Monroe was the fourth and last president in the “Virginia Dynasty.” Except for John Adams, four of the first five American presidents were from Virginia. ​Monroe and his wife returned to their home there after he left office. They had a close relationship with each other, as well as with their two surviving children, both daughters. Unlike many politicians of his time, Monroe had brought his family with him on his travels. He also believed strongly in education for girls. When the Monroes lived in France, young Eliza Monroe attended the best school for girls in Paris. This loving family spent as much time together as possible. 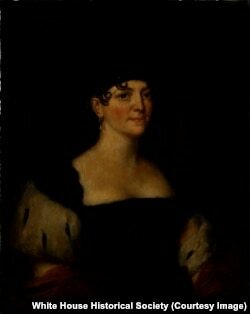 So, when Elizabeth Monroe died, James Monroe was filled with sorrow. His health also began to fail. He moved to the house of his younger daughter, Maria, in New York City. James Monroe died there one year later, at age 73. Like two other former presidents, Monroe died on the 4th of July – America’s birthday. See how well you understand the story of the fifth president by taking this listening quiz. Play each video and then choose the best answer.